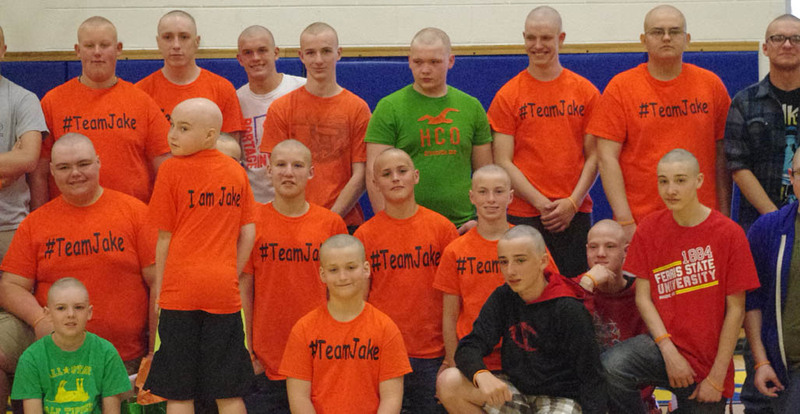 Onekama students of all ages show their support for Jake. 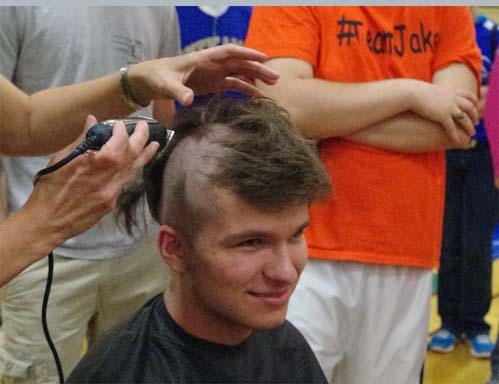 Friday, May 24th the team let Jake put his first pitch in the books. 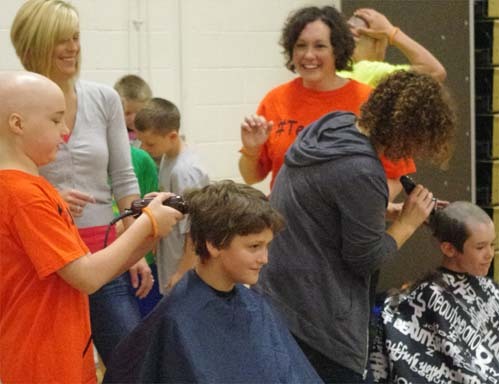 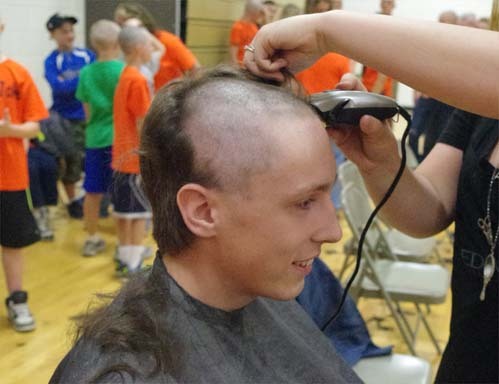 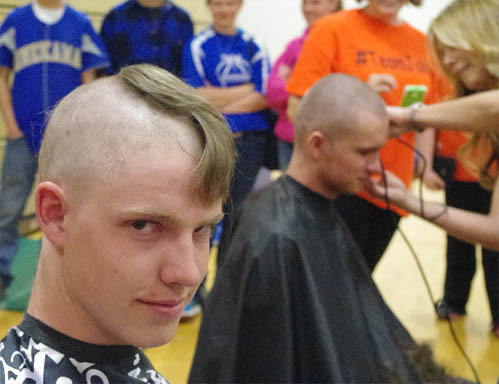 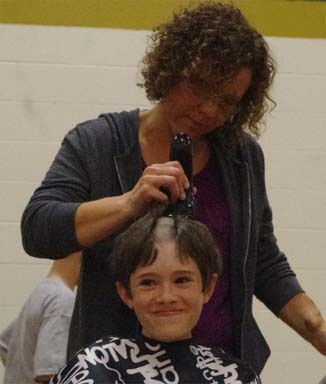 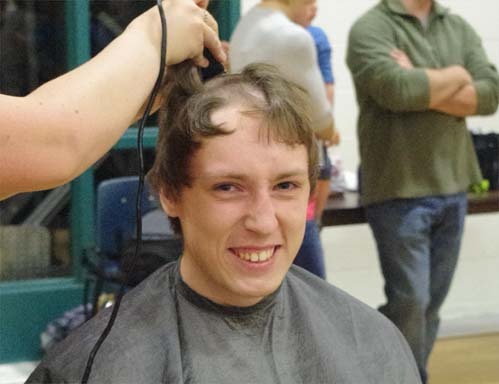 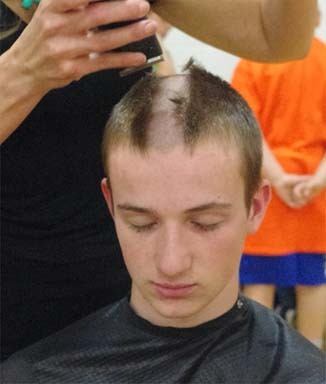 In a strong show of support, Onekama’s baseball and softball teams rallied around the soon-to-be fifth grader, and dedicated their doubleheaders against Mason County Eastern to him. 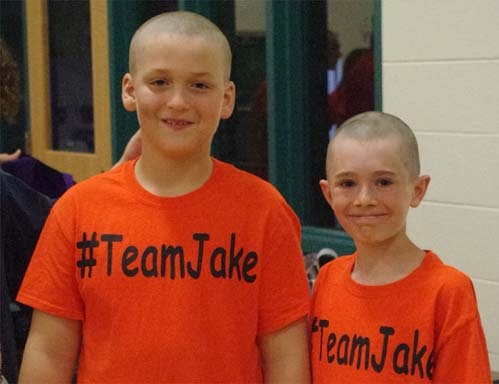 In specialized orange “Team Jake” jerseys, the baseball players created a tunnel for Petrosky to trot through, and when he reached the mound, the softball players lining the fence cheered the loudest.